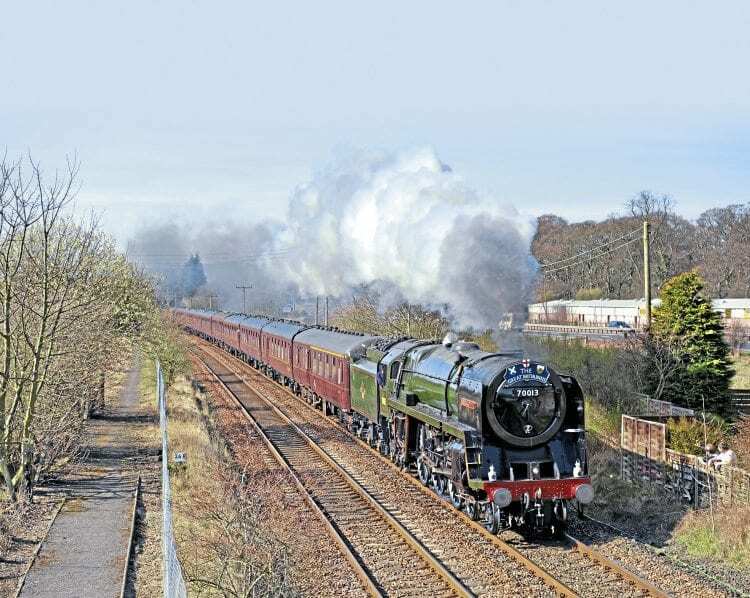 A MEMBER of the BR ‘Britannia’ class will return to the Gloucestershire Warwickshire Steam Railway when No. 70013 Oliver Cromwell takes part in the May 26-28 Cotswold Festival of Steam. It is four decades since a ‘Britannia’ last ran over the line. The National Railway Museum and No. 70013’s custodians – the 5305 Locomotive Association – have confirmed the ‘Brit’ will be able to attend until the end of the year following the extension of the Pacific’s boiler certificate. It will be the first of the class to traverse the line since September 4, 1965 when No. 70045 Lord Rowallan worked a West of England express from Kingswear to Wolverhampton, calling en route at Cheltenham Malvern Road. Also confirmed for The Railway Magazine-sponsored event is Churnet Valley Railway-based USATC ‘S160’ 2-8-0 No. 5197, which will travel to Toddington direct from hire at the Dartmouth Steam Railway. Classmate No. 6046, which like No. 5197 is owned by Batt Holden Ltd, had been booked to visit the event in 2017, but was pulled from the guest list at the 11th hour owing to over-running repairs. Read more in the May issue of The RM – on sale now!